On Monday, the Taliban swept into the provincial capital of Kunduz, taking it in half a day from a large and well-equipped Afghan National Army force. Tuesday’s riposte had only mixed success, with the ANA saying it had taken back the (no-empty) prison. An attempt to take back the airport failed, and when the Taliban captured an ANA tank, the US Air Force had to intervene to take it out lest it be used to drive an ANA rout. Those who want the US to go into Syria in a big way should just consider what the Kunduz events mean. Fourteen years after the US went into Afghanistan, it still has not been able to stand up a successful army to which it could hope to turn the country over. How many orphans do the hawks want to adopt? During the Athens summer Olympics of 2004, the Bush administration ran advertisements boasting that it had liberated 50 million people. It meant 25 million each in Iraq and Afghanistan. Most people in the world, according to opinion polls, thought Bush had occupied 50 million people. The administration described what it was doing as “nation-building.” There was some infrastructural spending. Many schools were apparently painted. Some restoration of electricity grids were undertaken, though both countries remain chronically short of electricity and local engineers and electricians could not keep up the American equipment. There was no big push to train administrators, found factories and hospitals, etc. of the sort that even a 19th state such as Meiji Japan undertook. A lot of contractors made billions and took it back to Fairfax county, Virginia. One of the areas where a genuine attempt at nation-building was made was the rebuilding of the Iraqi and Afghan armed forces. A lot of training was offered and a lot of men were put on the payroll. A lot of weaponry was provided or sold. Some of the subcontractors doing the training weren’t very good. For two years, one of them did not train Afghan soldiers to use the sights on the M1 rifles. Sergeants were puzzled as to why their accuracy never improved. In June of 2014, the US-built Iraqi army collapsed before a relatively small Daesh (ISIS, ISIL) assault on Mosul. On Monday, the US-built Afghan National Army collapsed around the northern city of Kunduz before a Taliban assault. Given the collapse in the first half of the 1970s of the US-built Army of the Republic of Vietnam (ARVN), I’d say the US is 0 for 3 in nation-building via army building. After the Vietnam war it became apparent that a fair number of ARVN officers (by no means most) were not ultimately very loyal to the American-backed south, and some turned at key moments to the Communists as the true Vietnamese nationalists. This story points to a key problem in having an imperial power do “nation-building.” Nations are about nationalism, not about loyalty to foreign emperors. Under conditions of occupation or even of neo-imperial dominance, it is hard to create a national army. The American public is congenitally unable to see itself as an occupying power when it takes over other countries, and when the occupation is over tends to forget it ever happened. Locals are neither so myopic nor so forgetful. Just imagine if two hundred years from now the US became weak and was occupied by another country. And those foreigners called for volunteers from Kentucky to join a new US Army to be formed and trained by the foreign country’s officers. Do you think patriotic people from Kentucky would happily join up? Or might they either go into guerrilla war against the foreign occupiers, or join the new “national” army and try to undermine it? 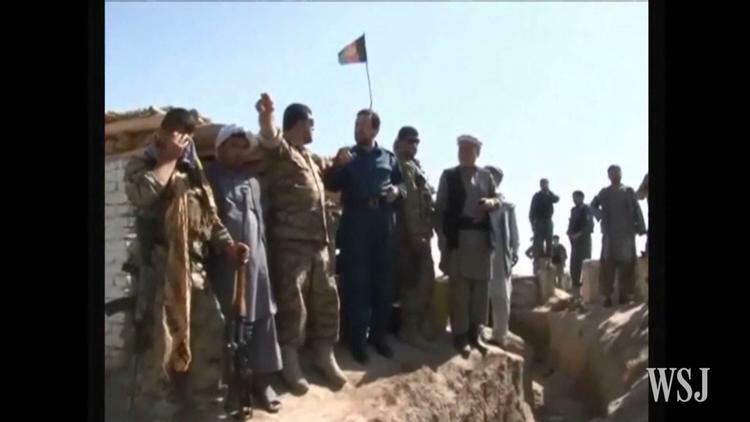 The issue of loyalty arises in Kunduz. It is the capital of the province with the same name. About a third of the population of that province is Pushtun, which is the ethnic base of the Taliban. But given a majority of Tajiks and other ethnicities up there loyal to the Kabul national unity government of President Ashraf Ghani, the government should have been able to hold the capital of this province. The Taliban rushed into the city, burning down the police station, releasing prisoners from the main jail, and raiding government weapons depots. In other words, the US taxpayer has yet again unwillingly transferred billions of dollars worth of sophisticated weaponry to a group they deem terrorists. The independent-minded newspaper “Hasht-i Sobh” said that the city of Konduz was well defended, with a sufficient armed force, and that its fall suggested treason on the part of some officials. That is, it is alleging that some of those people running Konduz were either secretly sympathetic to the Taliban or perhaps so afraid the fundamentalists would win in the end that they capitulated to get good terms from the conquerors. The Afghan government, defensive about its failure (which I saw coming last summer) is blaming foreign powers and their agents (presumably Pakistan and its Inter-Services Intelligence, which had long backed the Taliban). Ruz-nameh-i Afghanistan (Afghanistan Daily), however, rejected this excuse, saying that a foreign intelligence agency could not have pulled off the takeover of a whole city like that, without Afghan agents on the inside. So, no nation-building then. The US response to the return of the Taliban will likely be to insist on keeping 10,000 men in Afghanistan, virtually forever. But that move sets up the paradox that it makes Ashraf Ghani look like an American puppet, and encourages even more young Afghan men to join the Taliban.